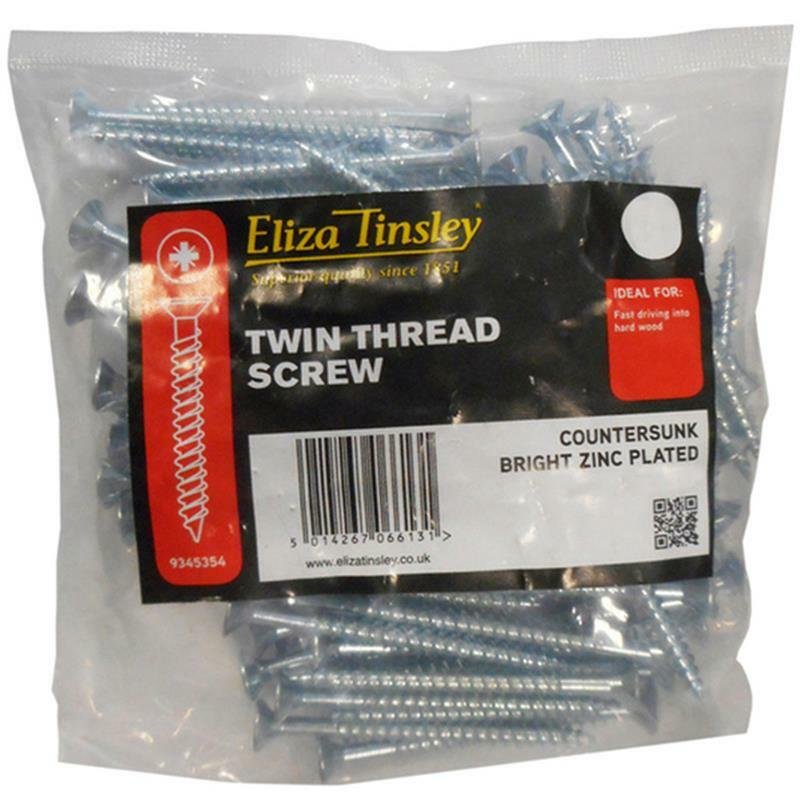 Eliza Tinsley Twin Thread Wood Screw 12 x 100mm - 50 Pack. Twin thread pozi head screw for fast driving into hard woods. Driver bit included.